The Second Annual Driftless Drift will be held Saturday July 12, 2014. The event will feature unique local art, music, special guests, & recreation. Join in the fun! The Driftless Drift is a celebration of the beauty of the Upper Iowa River Valley. It's a low-impact event that respects and values all things local. There'll be music. Did we mention it'll be solar powered? There'll food available for purchase. Not to mention, informative and inspiring words from folks doing what they can to encourage tourism in this gorgeous Driftless place. We encourage you to get out and connect with your neighbors in the region, recreate, and relish in nature. We want you to have a great time. We encourage you to get here however you can-- travel the incredible Upper Iowa River, or the beautiful winding roads of this special place. We can't wait to hear about your journey. Because that's what life's about. Don't get us wrong, the destination is incredible. But enjoy getting here. Make the gorgeous Upper Iowa trip part of the point. Drift on, Driftless region. We're bringing the Driftless Drift to you for FREE, with the sincere hope you'll feel generous with a free-will donation to help us cover event costs. Any proceeds will be donated to directly benefit local tourism. This place is rad. We want to keep it that way. Check Out Driftless Drift on Facebook. Driftless Drift t-shirts, at the event! CANOE! Call Randy's Store today to reserve yours! 563-735-5738. Shuttle Available. When you should leave for Bluffton depends (of course) on how you'll arrive. Please check out our maps page for further information on approximate travel times for biking, canoe, and driving routes. 4:30PM: Events start & go through the evening. Stay the evening! There will be speakers in between sets later on, to familiarize us with the awesomeness of the area and inspire us to keep it that way. 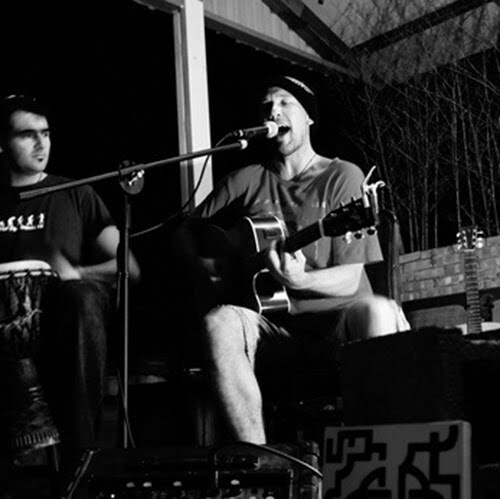 Come Check Out the Folk-Rocky Awesomeness of Paul & Luke.